Temika Moore is joining a passionate team of fellow missionaries, traveling to Zambia, where over 1.6 million orphans reside, the highest per capita in the world. 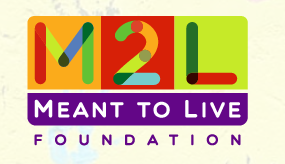 Meant 2 Live Foundation's mission is led by the belief that all humans are meant to live a meaningful life of purpose. They provide funding and support educational, medical, culinary, and spiritual development programs that seek to empower impoverished lives around the world. The mission trip is for 9 days in Zambia, June 1-10, 2018 and will focus on evangelism, outreach, music ministry, school projects, farming, teacher training, shoe distribution, leadership training and more! The trip will end with a Splendor Fest celebration for 310 orphans and their guardians as well as the hard working servants and missionaries living in the community in Zambia. This is sure to be an unforgettable experience. In preparation for departure, Temika Moore is seeking support, financially ($3,000 which will cover the flight, lodging, food expenses, etc., and also include tools and resources for the community in which she'll be serving). Will you consider a gift of $100, $50, $10 or even $5? Donations are tax-deductible. Through the support of mission trips like this one, and your donation, Meant 2 Live Foundation has the potential to help hundreds of orphaned children in Zambia. I hope that you find it in your heart to give, even the smallest donations will help us reach our goal to impact many lives in one of the poorest areas of the world! M2L is partnering with the local Coptic Church in Zambia to join their services and activities under the guidance of Father Abraham Fam. The Coptic Orthodox Church in Zambia was established in 1987 by Bishop Antonios Morris. Today it has grown to include four churches, a hospital, a clinic, a Hope Center for Infectious Diseases, three orphan schools, and several other projects. The orphan schools care for over 310 orphans and vulnerable children, providing the children with academic, physical, spiritual, and emotional support. The hospital, which includes an outpatient and inpatient ward as well as a diagnostic center, cares for charity and non-charity clients. The staff is made up of outstanding doctors and specialists who care deeply for the patients. The Hope Center for Infectious Diseases has over 6,000 patients enrolled and provides for free ARV’s for HIV positive patients and offers VCT counseling and adherence, and pediatric support to mothers. Thank you for your support. Follow Temika Moore's social media pages for real-time videos of her progress with this mission.